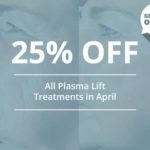 Our world leading lasers, the award winning PicoSure FOCUS Lens Array and RevLite are able to effectively treat fine lines and wrinkles around or under the eyes, the forehead, the mouth, the neck, chest and anywhere else on the body. 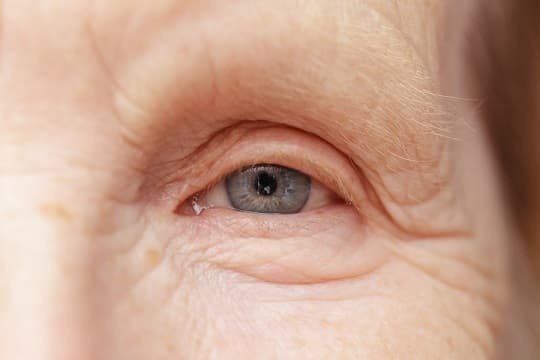 Everybody knows that wrinkles develop as we age. But what causes wrinkles and fine lines to appear? As we age our skin dries, becoming less elastic and thinner. Try pinching the skin on the back of your hand, and see how quickly it pings back into place when you let go. The slower it returns, the less elasticity it has. As we age, this becomes more and more pronounced. At the same time as this is happening, our aging skin is becoming less able to protect itself from environmental damage. What factors contribute towards skin damage? One of the most important factors we can control when considering skin care, is our exposure to sunlight. Damage wrought by the sun is cumulative, but it is never too late to use sunblock and avoid the midday sun. As you age, your skin becomes less resilient to the effects of UV rays from the sun. Another factor that affects the number of wrinkles you will develop, is smoking. Smokers get more wrinkles because the supply of oxygen to the skin is reduced by their habit. It’s never too late to give up! Light-skinned people tend to develop sun damage more easily, so they may have wrinkles before their dark-skinned counterparts. How does laser treatment for wrinkles and fine lines work? If you’re looking for an effective, non-surgical ant-wrinkle treatment then look no further than the award winning PicoSure FOCUS Lens Array and RevLite. The award winning FOCUS Lens Array (FLA) is a novel addition to the PicoSure designed to microscopically concentrate the powerful energy of PicoSure on to small areas of tissue. The high fluence beams are able to treat small areas of skin with arrays of highly focused energy, up to 20 times that of an un-arrayed PicoSure pulse. 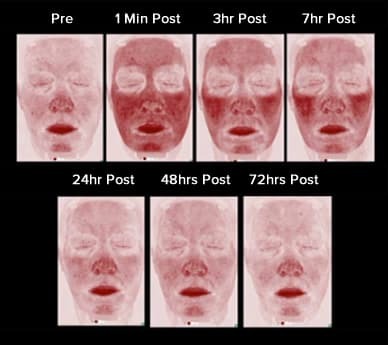 Pulses from the laser enable photomechanical stresses to wrinkles, leading to new collagen and elastic production when focused through the FLA. An additional benefit of the FLA is that skin pigmentation is also significantly improved which typically can’t be achieved with other anti-ageing treatments such as injectables, toxins and dermal fillers. This is a very well tried and tested method of laser treatment. Lasers can help to renew the skin by enhancing the regrowth of collagen and elastin in the dermis. These make up the support structure of our skin, and it is the weakening of this structure that allows wrinkles to appear. Skin treatment lasers slightly damage the lower levels of the skin – just enough to encourage the body to start revving up collagen regrowth. As the collagen in your skin regrows, it ‘plumps up’ wrinkles, so that they look much less deep than before. Both lasers can effectively be used to treat all types of wrinkles including, periorbital wrinkles (around the eyes), perioral wrinkles (around the mouth), lipstick lines, cow’s feet, frown lines, and necklace lines. You can expect to see wrinkles improved after just one treatment, particularly when using the PicoSure FLA which is FDA cleared to treat fine lines and wrinkles. Depending on the size of the area, treatments with the RevLite take between 10 and 40 minutes, and treatments with the PicoSure FLA take between 5 and 30 minutes. After the treatment you will have some reddening of the skin, which will start to subside within 3 hours. Every client’s skin is different, and some wrinkles respond better than others. But many clients are absolutely delighted with laser treatments, seeing dramatic results after just one or two treatments. Very deep wrinkles cannot be erased altogether, but they will significantly improve in appearance, becoming softened and less visible. Rapid production of collagen and elastin by the skin after laser treatment can take years off you, and is much less invasive and expensive than surgery. 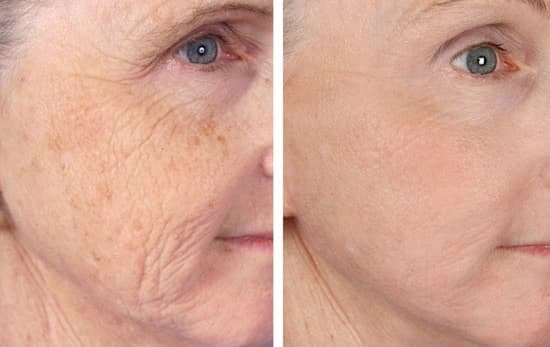 With minimal recovery period, and none of the dangers of surgery, it is not surprising that laser treatments have taken the anti-aging world by storm. How much does laser wrinkle treatment cost? If you would like laser removal treatment for wrinkles on areas of the body other than the face then you can send in a photo via our contact form here. Consultations require a £25 deposit, which is deducted from any future treatments. 48 hours notice is required to move or cancel an appointment, or the deposit is forfeited at our discretion. RevLite treatments take between 20 and 40 minutes and PicoSure FLA treatments are quicker, taking between 15 and 30 minutes depending on the size of area being treated. Most people describe the feeling as a tingling sensation but find the treatments tolerable. 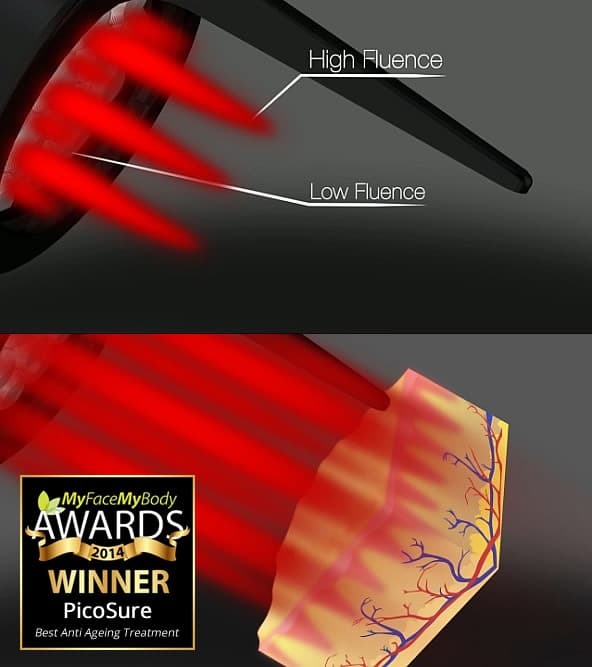 Many of our clients report that the PicoSure FLA is the most comfortable laser treatment they’ve ever had. Your skin will appear a little red for a few hours only as you can see in this picture. There’s no need to take time off work and you can resume your daily activities as normal straight away. This mainly depends on the laser used and the depth of wrinkles. 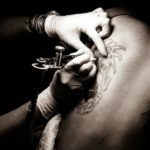 Typically, anywhere between 1 and 5 sessions can bring about significant fading. Fewer sessions are required with the PicoSure FLA than the RevLite. We provide you with an aftercare leaflet on the day of your treatment. The main advice to note is to avoid sun exposure (including sun beds) for at least, 4 weeks prior to treatment and 1 weeks after treatment. If it’s not possible to avoid the sun then don’t stay exposed for long periods and always use a sunscreen of a minimum SPF30 on exposed areas.